Stuart Gulliver yesterday laid out a list of downsides to keeping HSBC’s headquarters in Britain, in contrast with the potential advantages of moving to its historic home of Hong Kong. Britain had “rejected the concept of universal banking”, Mr Gulliver said, and its forthcoming rules to ringfence low-risk retail and commercial banking operations could be “very, very difficult” for HSBC. Indeed, if the final rules mean that HSBC’s group management has no meaningful control over the British business, it could prompt the bank to spin it off into a separate entity. 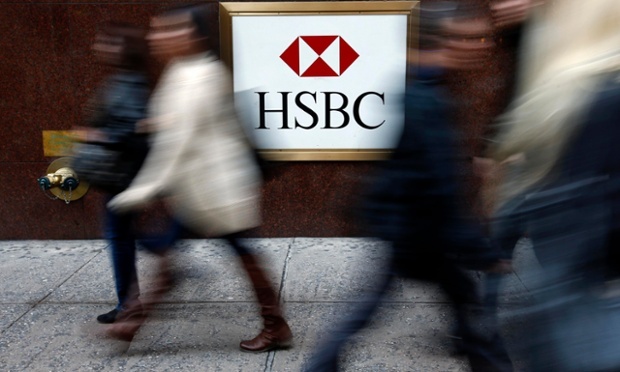 The squeeze from Britain’s bank levy, which was introduced by the Coalition government and was increased in this year’s budget, also meant HSBC must abandon its progressive dividend policy, Mr Gulliver said. As a result, the bank “is under significant pressure from our shareholders, who don’t understand why the dividend and the growth of the company is being set back by the fact [according to shareholders] that the company is in the wrong location”. HSBC will set out its criteria for considering domicile during an investor day on June 9 and will take a “few months” to reach a conclusion. Mr Gulliver was speaking from Hong Kong as the bank delivered a 4 per cent increase in pre-tax profit to $US7 billion ($8.77bn) in the first quarter. Revelations this year about tax evasion by wealthy clients of HSBC’s Swiss private bank a decade ago had not hurt the business, Mr Gulliver said. The bank revealed that the Financial Conduct Authority had “asked it for information” about its Swiss private bank.